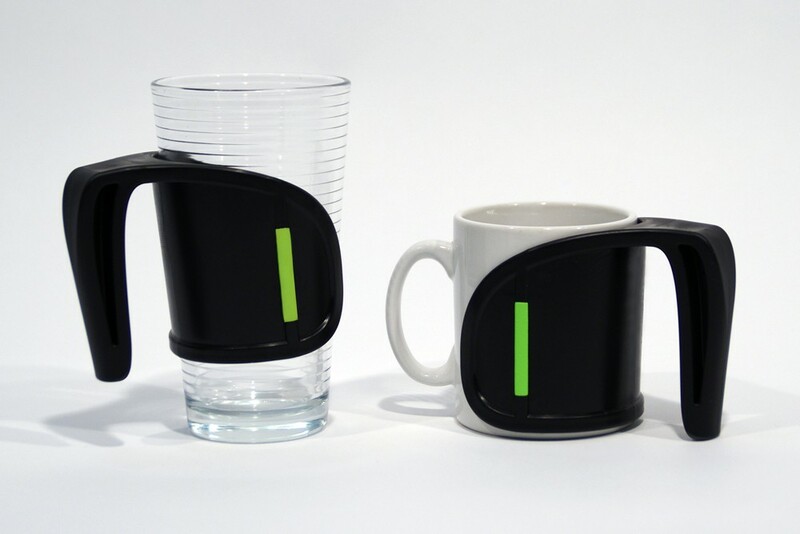 Duo Cup and Mug With Handle Has Ergonomic Design. The Duo is a pioneering handle which attaches to mugs, glasses and bottles, increasing not only the grip, but also the stability. The ergonomic design also means that it is an alternative to two handles mugs and beakers which may isolate users from family and friends. 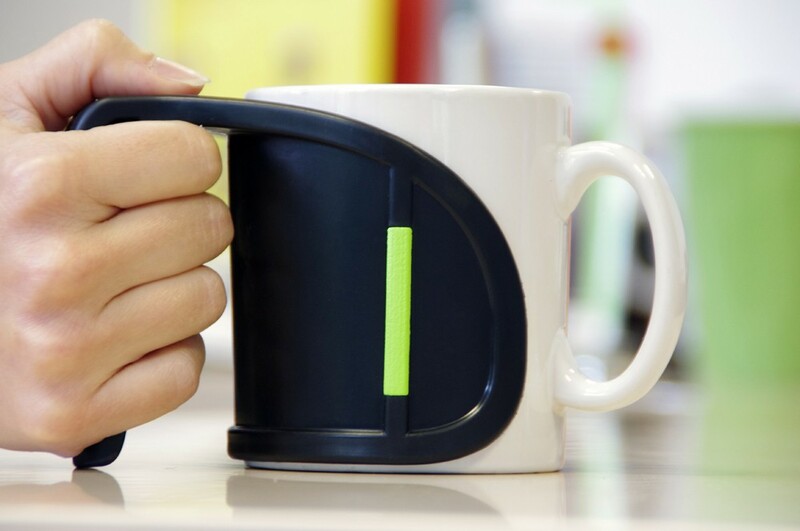 The handle also keeps hot mugs away from hands and fingers. To enable easier drinking for people with reduced grip, hand or arm function. The Duo Cup and Mug Handle has a clip-on design and can fit drinking vessels from 70 - 90mm (3 – 3½") in diameter.